Over 30 years, OKI has been providing advanced printing solutions, introducing revolutionary technologies that meet the needs of small and large businesses. With a full range of award-winning printers and MFPs, OKI offers high quality products that help improve business productivity regardless the budget or size. In addition to a vast portfolio of printers and MFPs, OKI Europe offers a range of solutions to help optimize print and document workflows. This, together with an integrated suite of software technologies and tools, can help businesses take control of their print and document costs in a secure environment, whether office based, mobile or in the cloud. 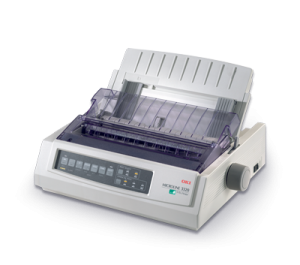 The portfolio of OKI dot matrix printers consists of 9pin and 24pin printers. Durable and reliable, they meet a wide range of business and industry needs, from multi-part forms to continuous feed labels. They combine low running costs and reliable performance in tough environments. The portfolio of OKI mono printers consists of A4 series B400, B500, B700 and B800 with the added versatility of A3 output. OKI B400 series is the best choice for small businesses offering high performance for the more demanding user. OKI B500 series is designed for high volumes at super-fast speeds, perfect for productive offices with heavy duty print runs. The efficient B700 Series combine fantastic paper handling with a fast processor, delivering fast, reliable printing and low running costs. 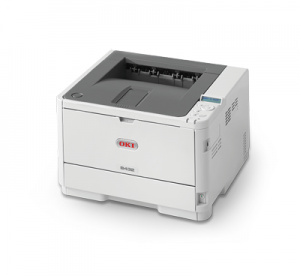 Finally, OKI B800 series are ideal for small workgroups with larger volume and size-related printing needs. Combining digital LED technology with efficient design, OKI’s fast, affordable reliable color printers are ideal for creating color and black and white-only documents from one printer, without compromising speed, quality or cost. Moreover, the A3 color printer range delivers great results and flexibility for workgroups of all sizes as well as professionals in design, creative and graphics businesses. The portfolio of A4 color printers consists of series C300, C500, C600 and C700 and the A3 of series C800 and C900, satisfying even the more demanding user. All the mono multifunction printers are equipped with 4-in-1 duplex copying, printing, scanning and fax functionality combining fast print speeds from 33ppm up to 52ppm and excellent print quality. 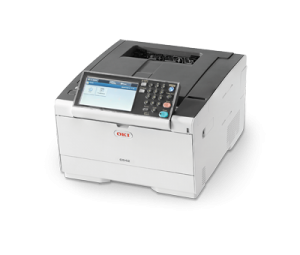 The OKI MB400 series is an ideal choice for individuals and small workgroups that need quick, comprehensive performance and low running costs. 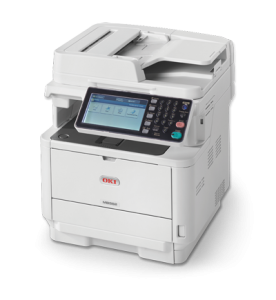 The OKI MB500 series feature a high monthly duty cycle and a large standard paper capacity, making them a great choice for workgroups with larger printing needs and the OKI MB700 series combines excellent performance with OKI’s embedded sXP (smart Extendable Platform) for seamless network integration and in-built document workflow. The portfolio of color multifunction printers consists of A4 series MC300, MC500, MC700 and A3 series MC800. 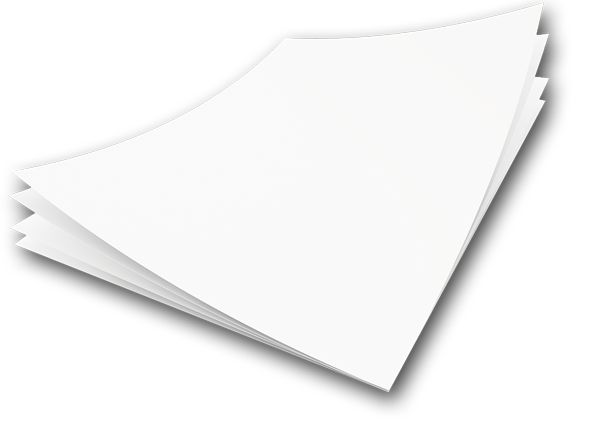 All the color MFPs have copying, printing, scanning and fax functionality providing professional output and excellent total cost of ownership. 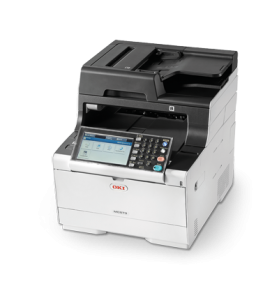 Specifically, the OKI MC300 series is offering outstanding value for money for SMBs and MC500 series is bringing secure document management and cost control within reach of small to medium-sized businesses and workgroups. The MC700 series offer the tools you need to ensure the cost effective use of resources within your organization. Finally, the A3 MC800 series offers excellent print quality, combining low total cost of ownership with the functionality of higher-priced devices. 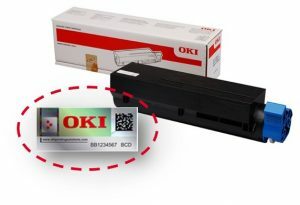 ΟΚΙ’s commitment to innovation and customer satisfaction means that Oki Original Consumables are engineered for premium print quality while maximizing the performance and reliability levels of customers’ investment. To help protect its customers, OKI includes a hologram label on its Original Consumables packaging. The label features a number of important security measures that are designed to be beyond the reach of counterfeiters and also provide customers with a simple process to check the authenticity of their consumables. To verify the authenticity of the consumables click here to check.